What is the correct lewis structure of ammonium cyanate ion? I do have a structure but it seems partially correct. If I'm wrong, then please inform that also. First thing is that there will be no lone pair in nitrogen as the lone pair is donated to the 4th H+ ion. This forms the ammonium ion. Now, cyanate ion is formed by [OCN]-. The negative charge is due to the three lone pairs in O (instead of two). 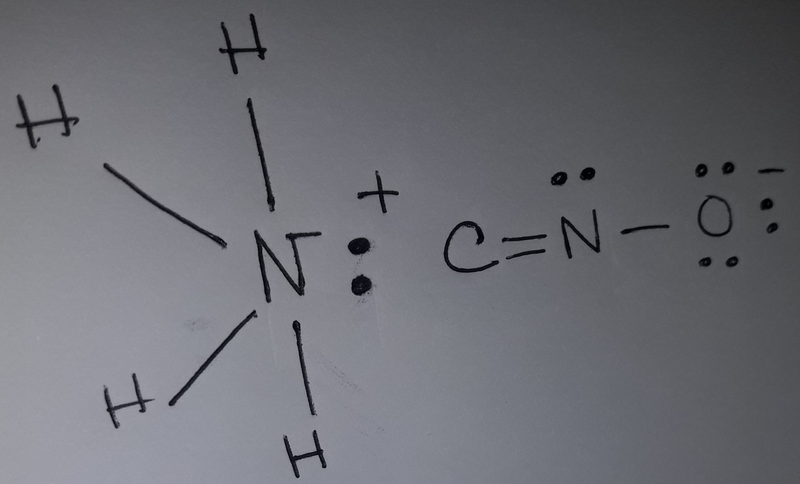 What is the structure of this molecule? What is the proper Lewis structure for HCOOH?